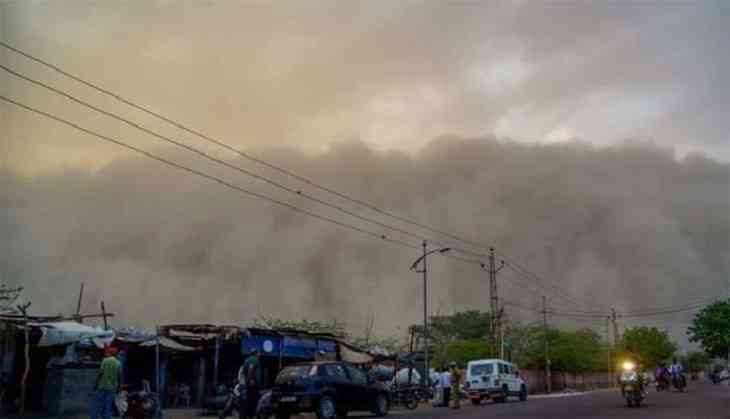 The India Meteorological Department (IMD) officials on Saturday issued a warning of a thunderstorm with strong winds and rain in various parts of Delhi and National Capital Region (NCR). As per the weather department, the change in climate will be witnessed over places in and around Mahendragarh, Kosli, Gurugram, Manesar, Faridabad, Ballabhgarh, Noida and Greater Noida in the next two hours. The temperature in Delhi at 9 am was recorded to be 32 degree Celsius with a wind speed of 5 km/hour. The warning comes after the deadly storm on May 13-14 claimed over 80 lives across five states in the country. Previously on May 2, at least 100 people died in north India and some other states, owing to thunderstorms.